If you look up “exuberant” in the dictionary, dear readers, well, you’ll find the definition of the word “exuberant.” But it really should feature a full-page picture of the energetic and frenetic, over the top and ready to bop, Louis Prima. Prima grew up in New Orleans surrounded by jazz — on every street corner and blasting out of every open window and door — as well as all the other magical musical mixtures produced by that melting pot of a city since its birth at the mouth of the Mississippi. After picking up the trumpet, he spent the 1920’s scuffling for work in jazz orchestras, the 1930’s gaining attention in New York and California under his own name, and the 1940’s as a headliner, a huge box-office draw, selling out clubs and theaters wherever he toured. 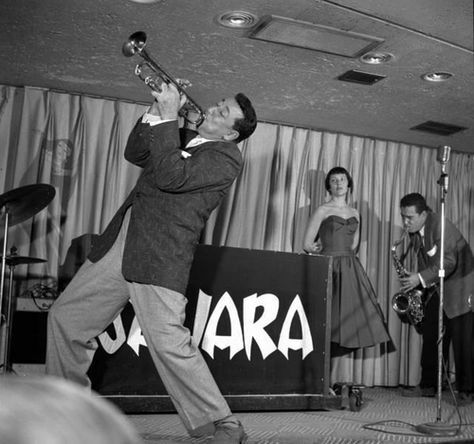 In 1954, Prima was offered a residency at The Sahara Casino in Las Vegas and enlisted a combo out of New Orleans called Sam Butera and The Witnesses to act as his backing band. Prima played the trumpet and shared vocals with his wife, Keely Smith. The band knew how to cook like the kitchen was on fire, whipping up a frothy mix of jump blues, jazz, swing, R&B, and early rock & roll, and they soon sizzled into one of the hottest attractions on the action-packed Vegas Strip. 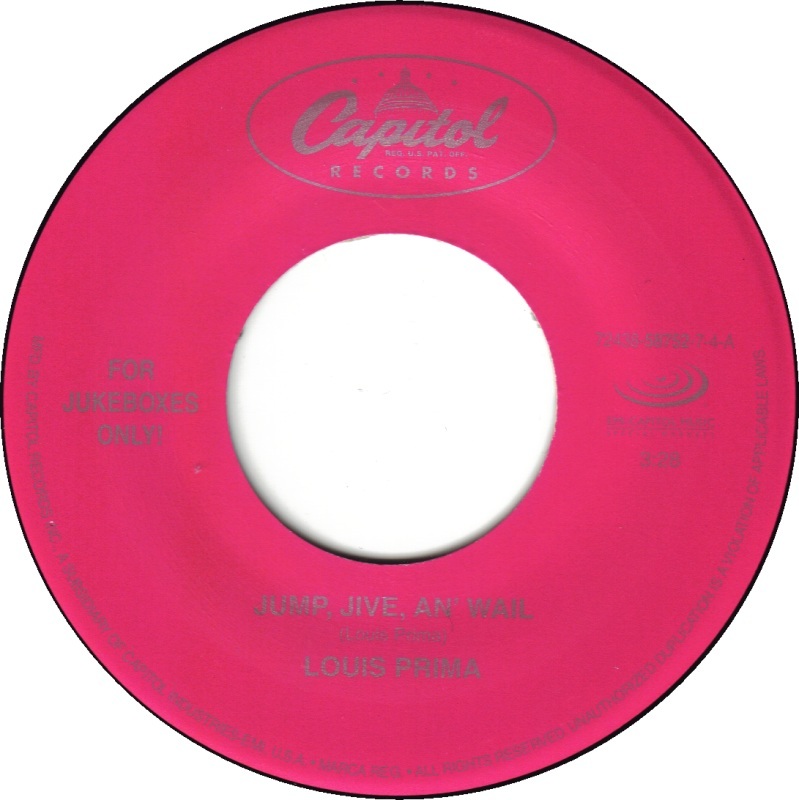 Although not released as a single at the time, “Jump, Jive an’ Wail” proved popular on jukeboxes and became a concert staple for Prima during the ensuing decades. The song gained new life when used in a Gap commercial in 1998, and Brian Setzer subsequently recorded his own hit version later that year. So come inside and you can learn how to jive an’ wail … with Louis Prima.